There are many different ways to speak about the future in English. You can find all of them in the previous posts on future tenses at Will or be going to or at Be going to post. 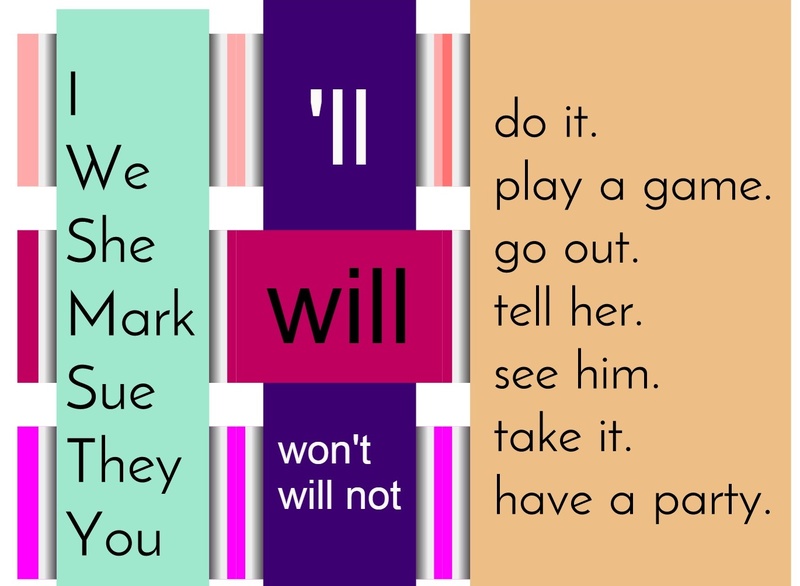 In this post I would like to explain and teach the usage of WILL for speaking about the future. You are going to find a mind map, a story about WILL and several interactive exercises here. I hope you will find this post useful. Once you present the form of the verb WILL it is time to explain the usage. I prefer using stories when explaining the grammar. I do it this way because stories are more memorable than just a simple explanation. You can create your own story or you can use mine. If you are afraid that your students´ English is not good enough you can tell the story in their Mother tongue. Ever since Will was born he was strange. For example when he was at school he always wanted to help other people. But while other children helped without any words WILL always spoke. “I, Will, help you, sir,” he shouted when he saw the teacher carrying a lot of things. “I, Will, clean the board,” he jumped up another time. Of course, his friends did not like it and soon they started to say ironically. As I say, Will talked too much. And he liked talking about his opinions. “I think …” were his favourite words. And as children did not like him they soon parroted. And one day another strange thing happened. Will’s eyes went big and he started to predict the future. But children did not believe him and they laughed even more. “There WILL BE people on the Moon. We WILL fly to Mars,” they screamed all over the school. Nowadays no one remembers Will or his behaviour at school but ever since people still say “I will do it,” when they decide at the moment of speaking to help anyone. We still say “I think she will fail.” when we express our opinions about the future. No one remembers the nerd WILL but his name is there in the sentences. WHAT DO YOU THINK THAT WILL HAPPEN IN THE YEAR 2015. Write your opinions into the comments and I will correct them and inform you about your grammar. Please rate this post below. Our previous post on adverbs of Frequency scored 4.49 stars. Do you think this one is better? The games are indeed very interesting. Kindly share Grammar games for intermediate level. I think 2015 will be a peaceful year. There will be harmony and peace between people. People will accept each other and tolerate. 2015 will be an ideal year. Very nice. I could not spot any mistake. Great job!!! I am working on one right now. Check the page and you will see it there soon.